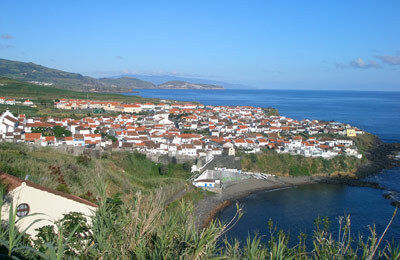 Porto Velas is a port on the island of Sao Jorge. The island is part of the Azores, which is a group of nine islands 850 miles west of Portugal in the North Atlantic Ocean. Below, you can find all the Porto Horta ferry timetables, journey times as well as our best prices. Atlanticoline offers both vehicle and foot passenger ferry services between the Azores islands. They operate three vessels called Santorini, Ariel and Hellenic Wind. On board you will find catering services, shops and plenty of comfortable seating to relax on through out your journey. Porto Horta ferry port is close to the town so allows passengers easy access to the local amenities such as restaurants and cafes. There is also a company by the harbour where you can rent a car if necessary. Porto Horta ferry port is easily accessible from the city by road. If you have your own car you can navigate to the port yourself, or if you are travelling by public transport then a taxi would be your best option as bus services are limited. 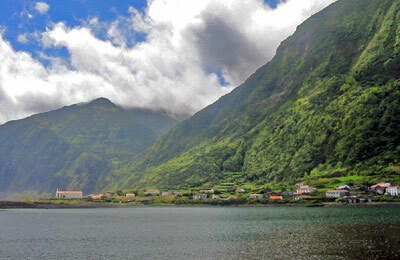 Porto Horta located on Sao Jorge island. The island is one of nine islands found in Azores - a group of islands 850 miles west of the Portuguese coastline. This city of Sao Jorge has a population of only 5,500 people (approximately). Velas, the town where the port is located, was the first inhabited area of the island. The town itself is very charming with small narrow streets and a pretty garden in the centre. You will also find a church, manor house and the Sacred Art Museum which boasts a collection of religious artefacts and paintings. If you walk a little further out of the town, you will come across a small but beautiful Botanical Garden, which also offers some stunning views.